In 1634, John Stone, a smuggler, privateer, and slaver, and seven of his crewmen were killed by the Western Niantic, tributary clients of the Pequot, in retaliation for atrocities committed by the Dutch, and more recently, by Stone. A principal Pequot Sachem, Tatobem, had boarded a Dutch vessel to trade. Instead of conducting trade, the Dutch seized the Sachem and demanded a substantial ransom for his safe return. The Pequot quickly sent a bushel of wampum, and received Tatobem's corpse in return. 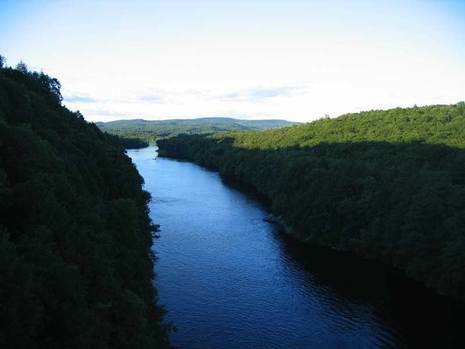 In , John Stone was murdered by the Pequots on the Connecticut River. It may be that he was thought to be a Dutchman, and one of the murderers of Tatobem. Stone was known to the Bay Colony authorities as a privateer and rogue and may have provoked the Indians who claim to have acted in self-defense, but he soon became another statistic in the Colony's list of Pequot "crimes."